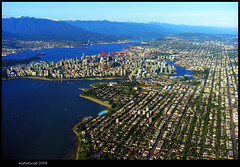 Vancouver is a possible massive earthquake target, but only few care about it! Xinhua on line news site has written an article which we would like to reprint partly. We encourage our readers (and especially our Canadian readers) to read it in full. With its location in the Cascadia subduction zone, a seismically-active area, the question is not if an earthquake will hit the Canadian city, but when. For generations Vancouverites have heard that a major earthquake is due to hit the city “once every 500 years”, but it has never happened. As a result, locals have grown pessimistic and even indifferent to the possibility of it ever happening. The last major quake was thought to have hit the city about 300 years ago, long before western settlers arrived. Yet, with its location on the Pacific west coast, along a stretch that includes Anchorage, Seattle, San Francisco and Los Angeles, cities that have all been hit and damaged by earthquakes, new research points out Vancouver’s time could be closer than originally thought. According to research released by the University of Oregon earlier this year, there is a one-in-three chance that a major earthquake could strike the Pacific Northwest, an area home to Seattle, Portland, Vancouver and Victoria, within the next 50 years. The researchers believe Cascadia is not one large subduction zone stretching from northern California to British Columbia, as previously thought, but at least four separate segments. They suggest that instead of the entire fault rupturing at once, it will break into smaller parts with more frequent earthquakes. Filed under: Damaging earthquakes, Dangerous earthquakes, Earthquake linked subjects, Earthquake Preparedness, M +7 quakes | Tagged: Canada earthquakes, Cascadia sucduction zone, earthquake preparedness, Pacific Northwest, Vancouver earthquake |	Comments Off on Vancouver is a possible massive earthquake target, but only few care about it! This report will receive regular updates. Major aftershock in the coastal waters near Conception. All values are preliminary. Details will follow. A strong shaking will have been perceived in the coastal towns (Mercalli VI) – Population which will experience this shaking : 75,000. GDACS just issued an GREEN earthquake report (look link below). Following the GDACS statistics, approx. 1 million people live in a radius of 50 km around the epicenter. The earthquake (aftershock) occurred in the middle of the night (3:28). 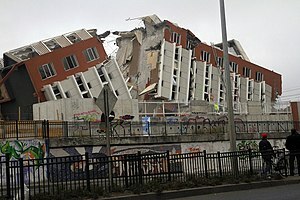 This is one of the heaviest aftershocks in Chile since many weeks. Based on our experience with Chilean earthquakes of the recent months, eventual damage or injuries will be limited (although we have to mention that every earthquake has its own specifics) . So far (50 minutes after the earthquake), no reports in the local press (of course it is in the middle of the Chilean night). As we have not received incoming alarms on our QuakeSOS app so far, we presume that the human perceived impact is limited to very limited (we know although that Chilean people are not easily frightened anymore, as aftershocks make a part of Chile daily life since February 27). Almost all Chile emotions are going these days to the 33 miners who are stuck 700 meters under the surface in the San José mine in Copiapo and have to stay there for at least a couple of months more. Everything else is getting in Chile today less attention.